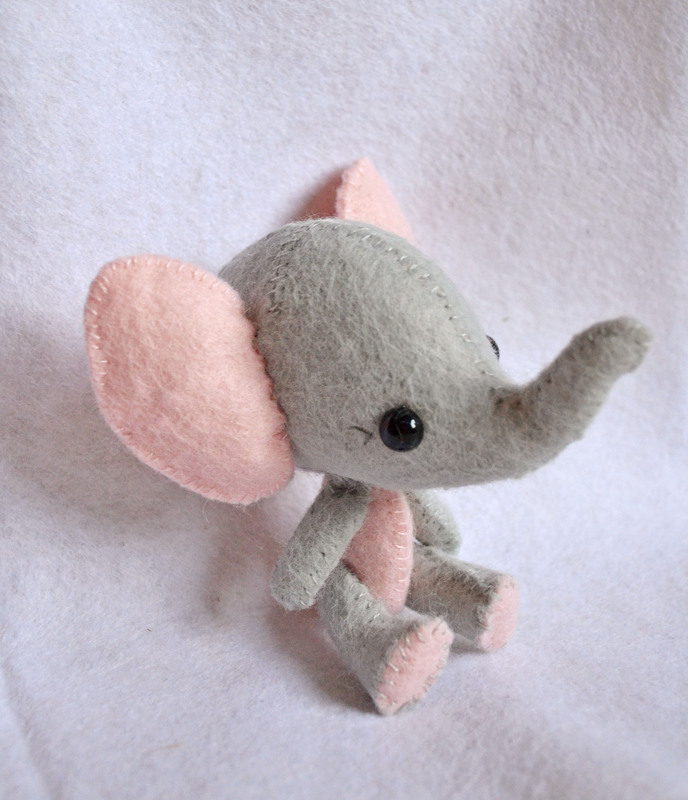 Ellie the Elephant in felt.. I have been creating a new little softie. 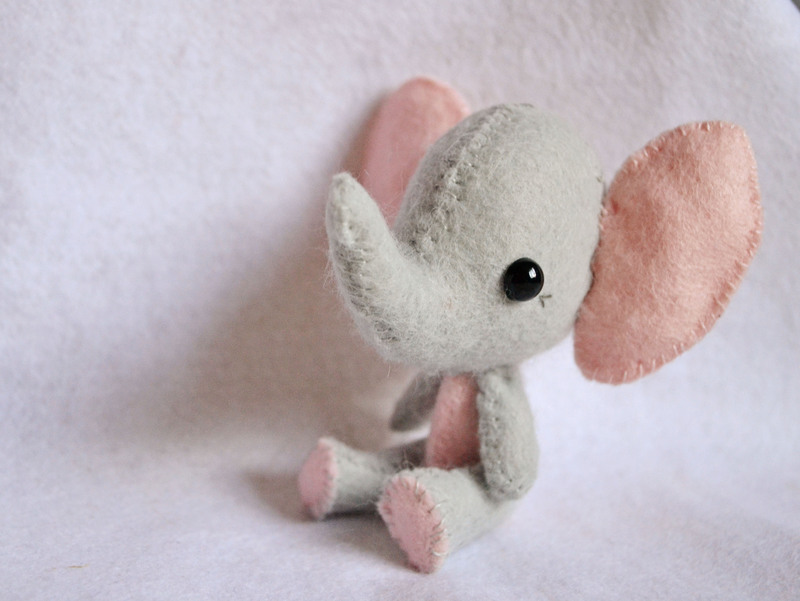 Ellie the Elephant! She is completely hand sewn by me, using a Gingermelon pattern. 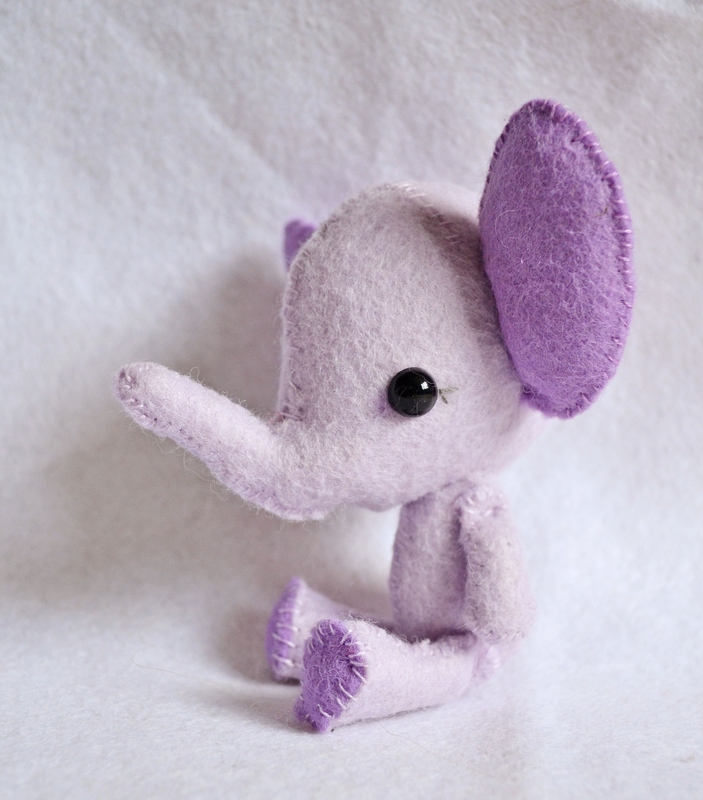 This little purple one has already found a new home, but the little grey and pink one is now in the Etsy shop. I’m very pleased with how these two turned out, they are so cute! They will be available in other colours, so if there is another colour you fancy please get in touch. While we are on the subject of my shop, I am pleased to say that I have now set up a shop page on my blog! You can see it here. Each item has been linked to a paypal profile so you can pay through paypal and feel confident that it is completely secure. There is only a couple of items on there but I will be adding more over the next few days. I am planning a giveaway soon to celebrate the start of the new range of felt goodies. Like my Facebook page to get the details when its posted.